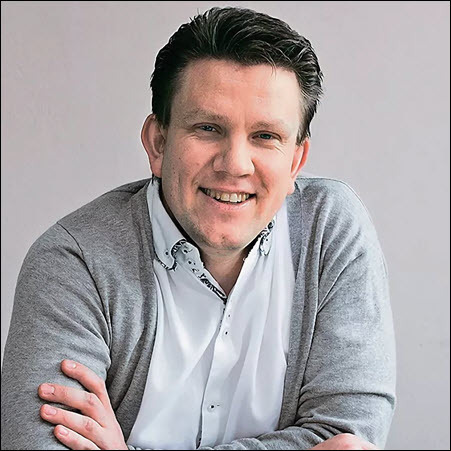 Touting 7-percent growth in the first half of the year, Eksmo CEO Evgeny Kapyev is bringing a bigger stand to Frankfurter Buchmesse and a new list of Russian nonfiction and children’s titles for sale. News of the Russian book market’s challenges, according to Eksmo CEO Evgeny Kapyev, has been somewhat exaggerated. When Russia’s largest publishing house arrives in Hall 5 (C89) at the Frankfurter Buchmesse in October, its stand will reflect what Kapyev says is an expanding marketplace at home with a growing approach to the rest of the world industry. “We see the growth of the Russian book market in the first half of the year to be at 7 percent,” Kapyev says. 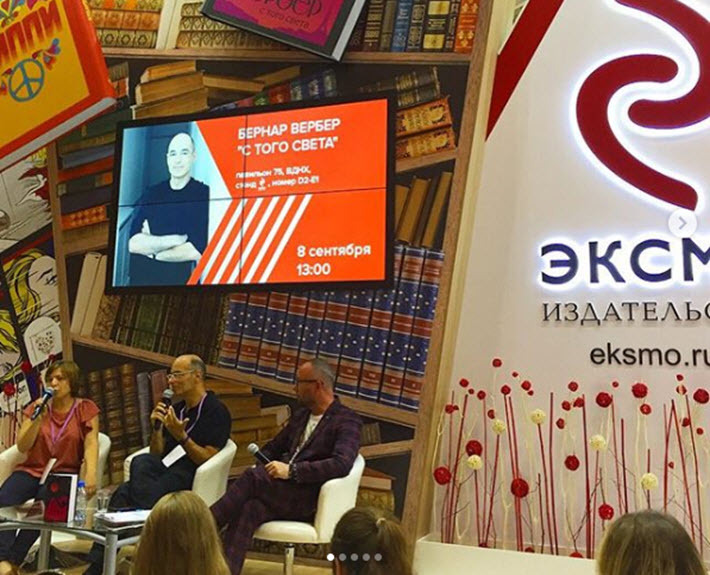 With his own company’s sales having grown some 2 percent in the same period, he adds that the Moscow International Book Fair, which ran September 5 to 9, was especially well-attended this year. “We sold 10,000 copies” of Eksmo titles “in four days,” he says. 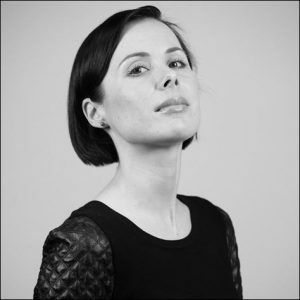 In our interview from the company’s Zorge Street offices in Moscow, Kapyev and Julia Kuzmenko, head of foreign rights at Eksmo nonfiction, describe a widening bookselling footprint at home and a deeper offer of content to other territories. As Publishing Perspectives reported in March, Kapyev succeeded Oleg Novikov as CEO of Eksmo, having served prior to the change as director of the publishers’ nonfiction division. This year, for the first time, Eksmo’s foreign rights at Frankfurt will include children’s books and Kuzmenko’s nonfiction, as well as a new emphasis on literary fiction and comprising as many as 350 titles. Taken together, Eksmo and its aligned partner AST reported sales last year of some 25 billion rubles (US$440.5 million), a 15-percent increase over 2016 sales. Unit sales grew by 6 percent, to 143.3 million copies. Kapyev’s figures showing a 7-percent jump in the first half of this year, in that light, indicate a robust continuance of growth. An engaging conversationalist, Kapyev’s centricity in the Russian field today has a lot to do, he says, with the company’s development of its own distribution network. And that includes hundreds of bookstores owned by the company itself. “We’re looking forward to Frankfurt,” he says, not least because—and Kapyev brightens at the mention of his name—the AST author Dmitry Glukovsky is a hot item this season in fiction sales for his new novel Text. “Glukhovsky is very nice,” Kapyev says, “and a fantastic author. And we see now a huge trend for Russian authors, especially in fantasy and mystery, as well as business books in nonfiction. Western Europe has taken quickly to Glukhovsky, especially with his Metro books” and their crossover gaming products. The success of Glukhovsky and others in the author corps, in fact, he says have helped focus his strategy on working hard to more fully exploit the value in the work of the company’s authors and their lists. That’s what’s driving his and Kuzmenko’s focus this year on international rights sales. Kapyev and Kuzmenko are also shopping, he says. “We buy some 2,000 new titles per year,” Kapyev says, “in nonfiction alone. And the company overall will buy about 4,000 titles” from other markets in a year. If you add in the AST division, which competes with Eksmo on many properties, he says, then the foreign rights spend runs to as many as 6,000 titles in a year. In a given year, Kapyev says, Eksmo itself will produce between 8,000 and 10,000 new titles. True to tradition in the Russian market, the classics still are among top sellers, he says, with self-help coming in second these days. In digital reading, ebooks may still represent only some 6 percent of the marketplace, he Kapyev says, “but growing by about 40 percent per year,” particularly since Moscow introduced new regulations and laws to try to curb piracy. The situation is improving, Kapyev says, thanks to new efforts by the government to curtail illicit digital sales. The problem is not solved yet,” Kapyev says, “but every year, it’s getting better now. We do work very closely with the government,” he says, especially to generate growth. There’s now an annual book festival on Red Square in June, he says, as an example of this cooperative effort. And that’s what’s front-of-mind for Evgeny Kapyev as he and his staff prepare for Frankfurt. “We want to develop our relationships” with the international industry, he says, “especially with our content in the kids’ and nonfiction departments. And we will be there looking for the huge number of titles we want to buy. We want to show our international partners that we have the best distribution system in Russia. 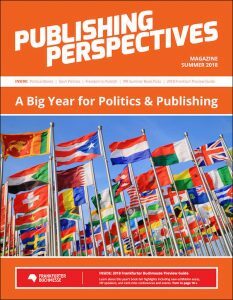 More from Publishing Perspectives on Russia is here, and on Frankfurter Buchmesse is here. It includes our extensive preview of Frankfurter Buchmesse. Download the magazine here.